The Phoenix Rising Football Club, part of the rapidly-growing United Soccer League (USL), had spent its first three seasons playing home games at two different venues—the Peoria Sports Complex in 2014 and 2016, and Scottsdale Stadium in 2015. So there was much excitement as the Club constructed a new home complex for the 2017 season. 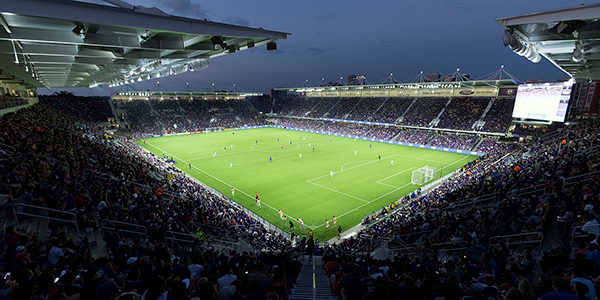 As part of that project, Rising FC leaders wanted to ensure the best possible visual experience for players and fans, and after exploring several options decided to partner with Musco and feature its Total Light Control—TLC for LED™ technology. Better On-Field Visibility – the system features patented optics designed around the LEDs that apply a whiter and more uniform light across the field. 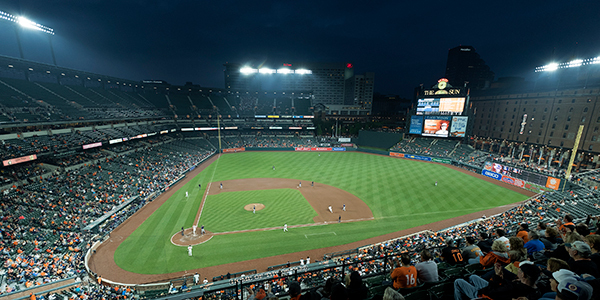 Enhanced Broadcasts – Musco’s LED technology eliminates the “flicker” effect that often disrupts slow-motion replays on television. 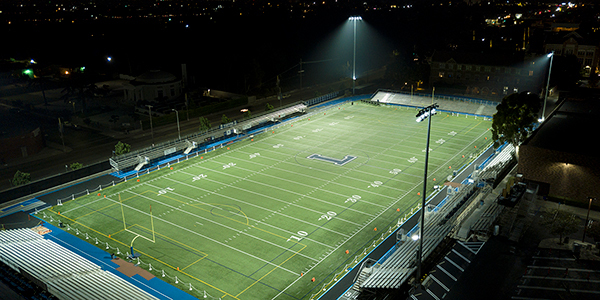 Glare Control – the customized design of the new lighting virtually eliminates glare from impacting players and spectators. Zero Maintenance – a long-term parts and labor warranty means Rising FC won’t have to worry about maintenance of the lighting, or pay for it, for 25 years. Improved Energy Efficiency – the system will reduce energy consumption by 63 percent compared to typical metal halide equipment. 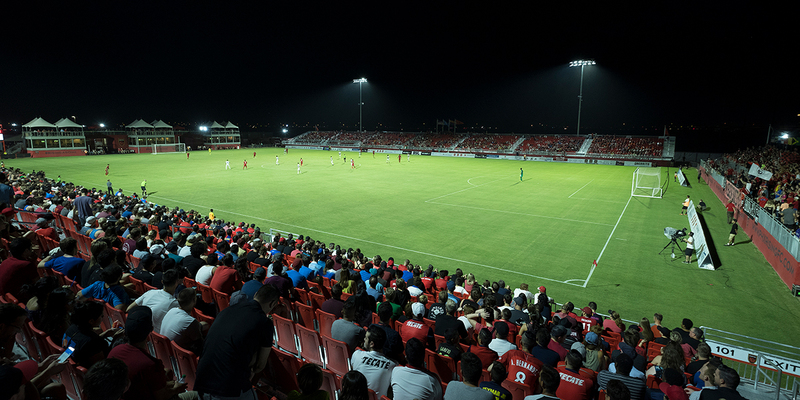 In October 2017, shortly after the completion of the Phoenix Rising FC lighting project, the USL announced that Musco will be the league’s Official Stadium, Complex, and Field Lighting Supplier.